The cultural, political and economic heart of Germany, Berlin pulses with history and to the beat of its infamous nightlife. Filled with architecture both new and old, this busy but leafy green city attracts visitors who are intrigued by its story. Discover its many museums and memorials, walk through its parks and gardens, admire the palaces and check out the club scene. 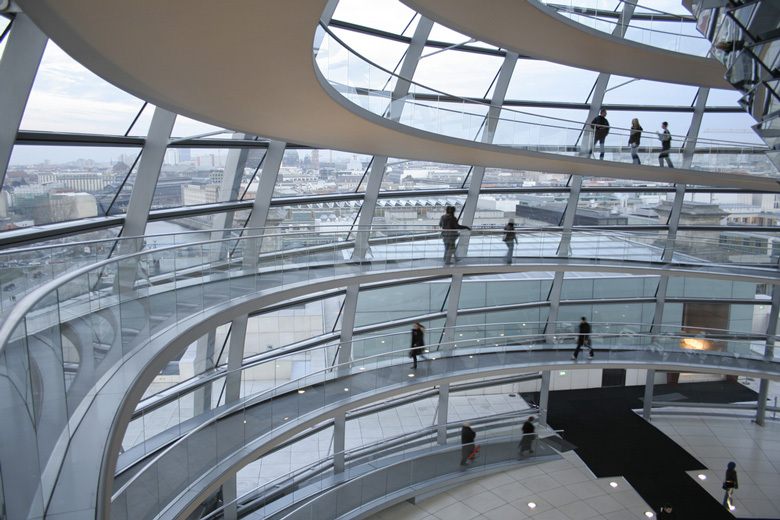 Read on for our top 10 things to do in Berlin to find out more about this popular city. 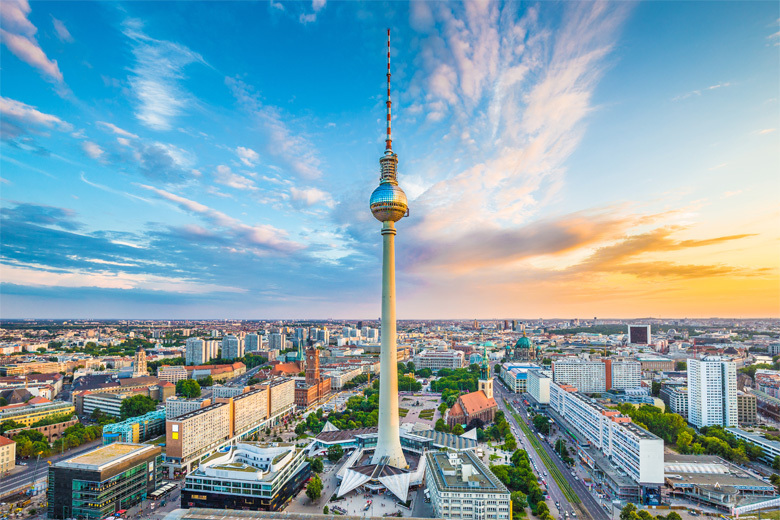 Built as a symbol of Berlin between 1965 and 1969, the TV Tower, or Fernsehturm, remains an iconic landmark of the city to this day and one of the top things to do in Berlin. Its striking, futuristic design is fairly typical of 1960s architecture and while it’s called a TV Tower it does feature an observation deck and revolving restaurant. It goes without saying that the views from this Berlin attraction are amazing! This is the tallest structure in Germany and the second tallest in the EU after all, standing a total height of 368 meters (1207 ft), though the visitor platform is at a height of about 203 meters (666ft). Even so, on a clear day you’ll enjoy the views for as much as 42 kms (26 miles) into the distance. The revolving restaurant, which revolves about once every 30 minutes, is a nice way to spend extra time at the TV Tower or sit and enjoy a cocktail or two at the bar. Tickets can be bought online before visiting though you may still face a line-up to get on the elevator. There are two of them, taking just 40 seconds to whisk visitors up to the viewing deck. Zoologischer Garten Berlin, or Berlin Zoo, is Germany’s oldest and most famous zoo. You’ll find this popular thing to do in Berlin located within Tiergarten city park, where it covers an area of 86.5 acres and showcases around 20,500 animals from about 1,500 different species. Whether you’re visiting Berlin with children or not, Berlin Zoo makes a nice break from walking around the city’s museums and landmarks, for adults and kids alike. Opened in 1844 the zoo features one of the most comprehensive collections of species in the world and this is just one of the reasons why it’s such a popular Berlin attraction. 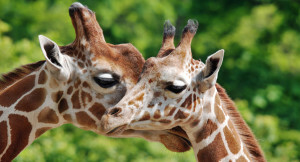 It’s actually said to be the most visited zoo in Europe and if you’re interested in seeing many different species of animals in one place, this is the zoo to visit. 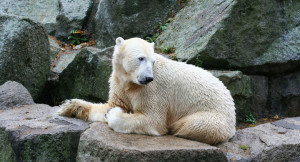 From penguins and polar bears to lions and camels, Berlin Zoo has all this and more, and it also includes a fabulous aquarium that has one of the largest aquatic life collections in Europe. 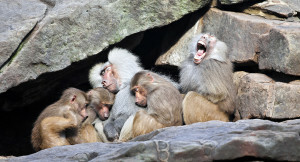 All in all, a visit to Berlin Zoo is a great way to fill an afternoon or more of your time in Germany’s capital. 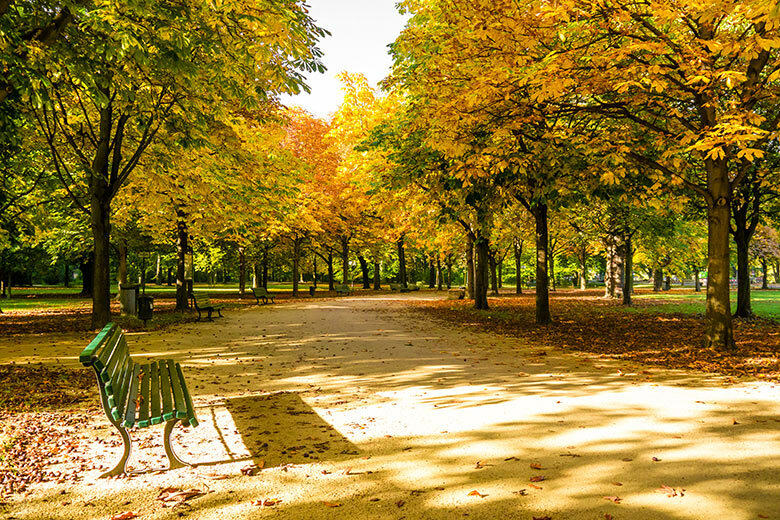 The most popular inner-city park in Berlin, Tiergarten is a lovely place to walk, relax or be active at any time of the year, but it’s most busy and popular during the summer months when its many trees provide welcome shade and a break from the city sightseeing. Tiergarten is one of the largest urban parks in Germany at 520 acres. It’s the city’s equivalent of Central Park and has its origins as far back as the year 1527 when it was founded as a hunting area. By 1740 the first public gardens were opened and a couple of years later the fences that once surrounded the area were ordered to be taken down so that the land could be used as a pleasure park for the people of Berlin. The park expanded with more formal gardens, water features, pathways and lawns, and a pheasant house was opened which signaled the beginnings of the Berlin Zoo. Today Tiergarten is a popular thing to do in Berlin, visited by locals and tourists who want to enjoy a little nature right in the heart of the city. You can rent boats, walk the trails or enjoy a picnic. Moving and thought provoking, the Topography of Terror is a history museum that should be on everyone’s lists of what to do in Berlin. Set on the site of the former headquarters for the Gestapo and SS, which were mostly destroyed by Allied bombing in 1945 then demolished after the war, the museum provides a look into the terrifying Nazi regime of that time. The Documentation Center for the museum was officially opened in 2010 though there have been exhibitions on the site since 1987. Inside you’ll find stories, photographs, details of events and plans within the exhibition halls, while outside visitors can take a Topography of Terror Site Tour which takes you around the exposed remains of the original buildings as well as the remnants of the Berlin Wall that are still standing here. Excavated cells, which were used to house and execute prisoners by the SS are among the original building remains. Depending on how much of the exhibits you want to read, a visit to the Topography of Terror could take a whole day but it’s best to allow at least two to three hours to do the museum justice. As the name suggests, this Berlin attraction is an island with museums on it, but if museums aren’t your thing a visit to the island is still highly recommended! Taking up the northern half of a large island on the River Spree in the heart of Berlin, Museum Island is historically and culturally significant and was listed as a UNESCO World Heritage Site in recognition of this. Obviously the museums, all five of them, are major tourist attractions but Museum Island is also a nice place to visit for a walk to see the different architecture of the five museums and to enjoy the views. Of the five museums here, Pergamon Museum is the most popular and it was the last to be added. The Altes (Old) Museum was completed in 1830 and houses a Collection of Classical Antiquities. The next museum, the Neues (New) Museum was completed in 1859 but was destroyed during World War 2 and then reconstructed. The Alte Nationalgalerie (Old National Gallery) was completed in 1876 and is part of the Berlin National Gallery. Its collections include Neoclassical, Romantic and early Modernist artwork. Finally, at the tip of Museum Island is the Bode Museum where you’ll find a mixture of art collections. Many of Berlin’s attractions focus on its more recent history and that’s why Schloss Charlottenburg is a welcome break, providing quite a different visitors experience. This beautiful palace was built in the 17th century and is located in the Charlottenburg District, to the west of central Berlin. Ornate and impressive, Charlottenburg Palace was originally commissioned by Sophie Charlotte, wife of Friedrich III, and was first known as Lietzenburg. This original palace was quite a bit smaller than what you’ll see here today and it was officially inaugurated in 1699. In the following decades the palace was added to and formal gardens were created in front of the surrounding woodlands. Today, Charlottenburg Palace is famous for its ornate Baroque and Rococo architecture inside and out as well as the exotic looking decoration inside. Visitors can go inside this popular Berlin attraction as some parts of the palace are open for tours. There’s a very good audio guide which really supplements a tour while outside a walk through the gardens is a highlight of a visit, especially a sunny day. When deciding what to do in Berlin the city’s excellent selection of museums could easily fill a week or more of any visit to this great city, but if you had the time to visit only one museum, make it this one. The Pergamon Museum is often cited as the best and most impressive museum in Berlin as well as being the largest and most visited art museum in Germany. Loosely categorized as an art museum, Pergamon Museum is far more than just a typical art museum. There is substantially more to see here than a collection of paintings because, more accurately, it is a celebration of Middle Eastern, Antiquity and Islamic architecture and art. Among other things, it houses full-sized reconstructed monumental buildings including the Market Gate of Miletus and the Pergamon Altar which have been put back together from parts transported here from Turkey, the original site of these buildings. 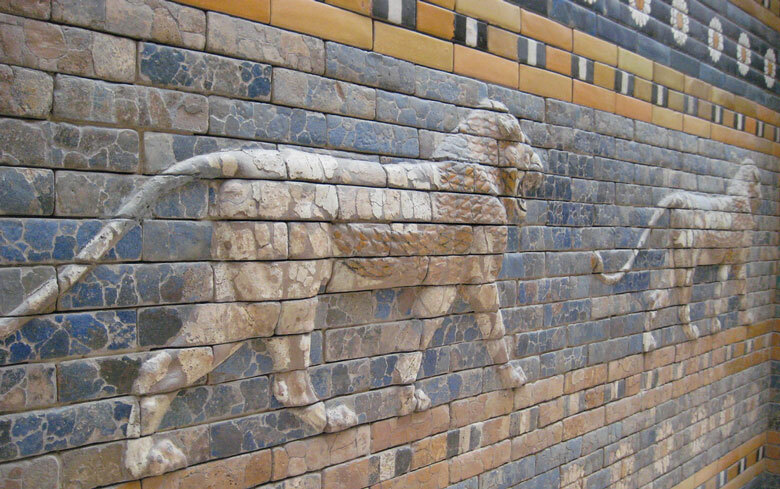 Opened in 1930 following twenty years of construction, Pergamon Museum is located on Berlin’s Museum Island. The exhibitions are divided into three categories: the Antiquity Collection, Islamic Art Museum and The Middle East Museum, and there are audio guides available. In German it’s known as the Gedenkstätte Berliner Mauer while in English we know it as the Berlin Wall Memorial. It’s a touching and very informative memorial that gives visitors a taste of what life was like with the Berlin Wall standing and the great divide it created across a city and between East and West Germany. Come to this top thing to do in Berlin and you’ll find many photographs and lots of information (both in German and English) that provide explanations. There is of course a section of the Berlin Wall – it is 60 meters (200ft) long – as well as the Berlin Wall Documentation Centre, a window of remembrance, Chapel of Reconciliation, and a visitor center. The Berlin Wall Memorial was created in 1998 to commemorate the division of Berlin and to remember the deaths that occurred there. The memorial has been added to since first opening to improve the visitor experience. The Documentation Centre has a five-story observation tower that allows visitors to get more of a bird’s eye view over the wall and the memorial as a whole. The Berlin Wall Memorial is a free Berlin attraction so there’s no excuse not to visit. It’s interesting to think that one of the top things to do in Berlin today was inaccessible to everyone during the Partition of Germany. The impressive Brandenburg Gate is one of the key landmarks of Berlin and Germany as a whole, and it was built on the same location as a former city gate at the start of the road from Berlin to Brandenburg an der Havel. The neoclassical triumphal arch was built between 1788 and 1791 under commission of King Frederick William II of Prussia and was intended as a sign of peace. It was heavily damaged during World War 2, and when Germany was split into East and West the Brandenburg Gate became inaccessible, standing right next to the Berlin Wall. Today this Berlin attraction has been fully restored, and the square and gate are now closed to vehicle traffic, leaving it clear for pedestrians to enjoy. The gate features heavily in many of Berlin’s major events throughout the year including the New Year’s Eve celebrations. The Gate is always bustling with visitors but try to come back at different times of the day to see it in different lights. Dusk and after dark is a great time for photos when the gate is lit up. Berlin’s Reichstag Building is truly inspirational to the people of Berlin and a major tourist attraction for visitors to the city. 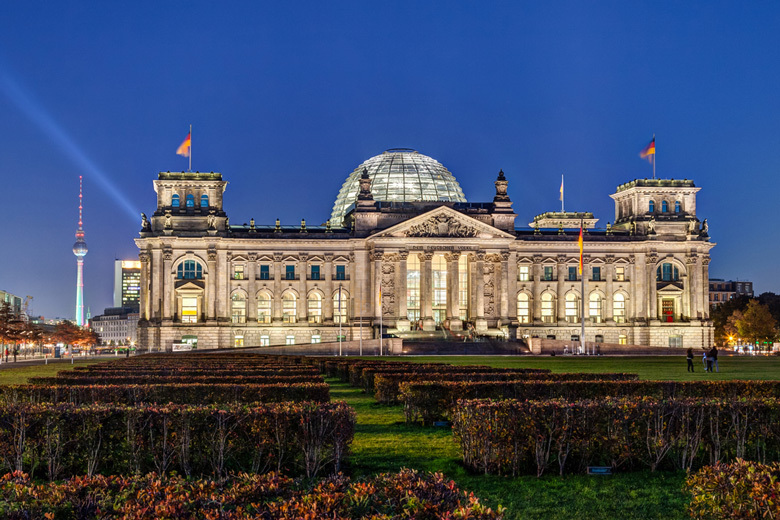 Frequently ranked as top thing to do in Berlin, a visit to the Reichstag Building combines history and politics with architecture and a fabulous view. Originally constructed between 1884 and 1894, the Reichstag was home to the Imperial Diet of the German Empire until 1933 when it was heavily damaged by fire. The building fell into disrepair following World War 2 and was finally made safe in the 1960s. 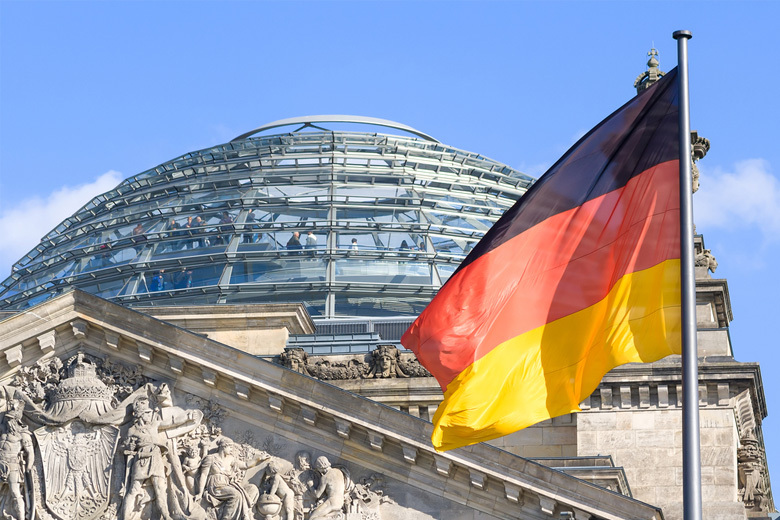 It wasn’t until German reunification in 1990 that the Reichstag was once again refurbished to its former glory under direction of British architect, Norman Foster, and the large glass dome was added. Now the Reichstag is once again home to the German parliament and the building is said to be the second most visited attraction in Germany. Anyone can take a look at the Reichstag from the outside, but the main attraction here is the glass dome. Book your tickets online at least several weeks in advance to be sure of getting a spot on a tour. The audio tour is excellent and the views from inside the dome are fabulous.